The French Quarter is without a doubt the most touristed neighborhood in New Orleans – but is it also a place where locals hang out? 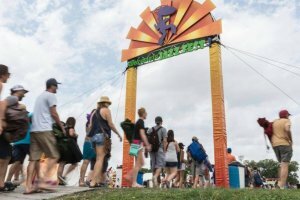 Are there even French Quarter locals? Yes and yes. To be fair, the Quarter isn’t the residential neighborhood it once was. Well into the mid-20th century, this was a place where families hung out to do laundry and children walked to school. The famous French Market really used to be the local grocery store, in the sense that it was a spot where you could pick up produce and similar goods. This dynamic has obviously changed over the years. The Quarter has evolved into a place primarily aimed at visitors, and the residents that remain do not tend to raise children in the neighborhood, with a few exceptions. This evolution reflects the Quarter’s changing identity – it has shifted, over the decades, more into a place to play as opposed to a place to live. But let’s not forget: New Orleanians like to play. And many locals prefer to play in the Quarter, which has a mind boggling number of restaurants, bars and shopping opportunities. New Orleanians are serious about their costuming (also known as masking), and those who are in need of a specialized wig or hair piece to set off their outfits head to Fifi’s. It may not be the cheapest wig shop in the land (although the prices are actually quite reasonable), but as far as quality and attention to detail go, you just can’t do better. Plus, there’s always a scene here: drag queens and hair stylists, models and artists, all hanging out and trading the best costuming tips. If you’re into glitter, sparkles, and generally looking fabulous, Fifi’s has got you covered. Hold up: you’re on vacation. In New Orleans. Why do you need to go to a hardware store? This author had to deal with a Mardi Gras costume emergency awhile back with some visiting friends. Who came to the rescue with some Gorilla Glue and random timely advice on how to fix a stain on a hardwood floor? The folks at Mary’s Ace Hardware, a spot where you’ll find almost no tourists, but a bunch of New Orleanians who are doing what they need to do to fix up their homes (or costumes, as the case may be). Chi-wa-wa ga-ga is amazing because it’s not just a pet store – a brand of business where the mom-and-pop outfits are getting rarer and rarer – it’s a pet store specifically aimed at small pets. Yes, visitors often pop their heads in, but the main clientele are those New Orleanians toting around small dogs (and sometimes cats) who are in need of a costume for their little loved ones. Because sometimes, darn it, we just need to emphasize the identity of our wiener dogs by putting them in adorable little hot dog suits. Speaking of pets, if you’ve traveled to New Orleans with a furry (or scaled or winged) friend in tow and they need some medical attention, try the French Quarter Vet (922 Royal Street) or the Pet Care Center (938 Esplanade Avenue). Both offices are friendly, helpful, and accustomed to dealing with patients from out of town. We mentioned earlier that New Orleans is the kind of place where people like to get into costume. That’s another way of saying New Orleans is crafty, and when the crafty folk need to get their DIY on, they often come here. There’s a plethora of needlepoint and yarn supplies at this Chartres Street store, as well as bins of beads, bling, and anything else you need to create a perfect costuming (or otherwise fashionable) statement. 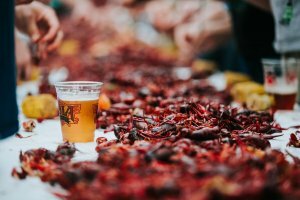 What’s neat about Porter Lyosn isn’t the fact that this is jewelry with a Louisiana twist. There’s plenty of that to go around in this state. What’s unique is the way owner and Tulane graduate Ashley Porter utilizes local materials – from agates to nutria fur to alligator skin to labradorite – to form pieces that are truly grounded in the Pelican State’s identity. There’s no shortage of jewelry stores in New Orleans, but you’ll often find locals shopping here simply because they know they can find something heartfelt and unique. The Diva is a longtime favorite for New Orleanians who want to glam out in mid-century retro style fashion. The 537 Royal Street location is the standard clothing boutique where you can find gorgeous dresses and funky accessories that come in a wide, inclusive array of sizes for any and all body types. 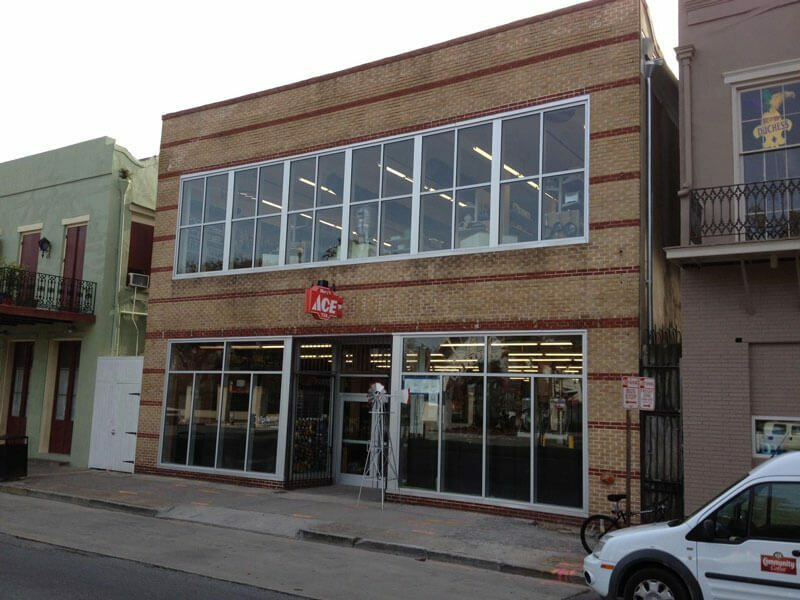 The 712 Royal Street location rocks some risque and fun lingerie, also aimed at the same diversity of shape. 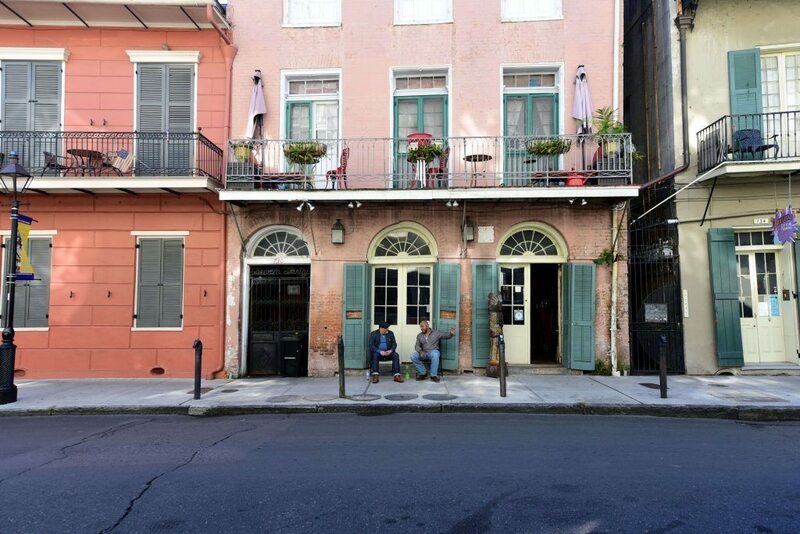 It may be located in the very heart of the Quarter, but the Bourbon House is a longtime favorite for workers in the neighborhood and CBD who want some good seafood to accompany a drawn out lunch (or a decadent dinner). We’re a city that loves its seafood, so you better believe the locals’ stamp of approval goes a long ways here. Galatoire’s doesn’t just attract locals – it attracts a specific cast of the city’s old money and high society, who are particularly known to pack into this iconic restaurant for Friday ‘lunches’ that tend to last until the last bottle of champagne is emptied and everyone is heading to sleep. 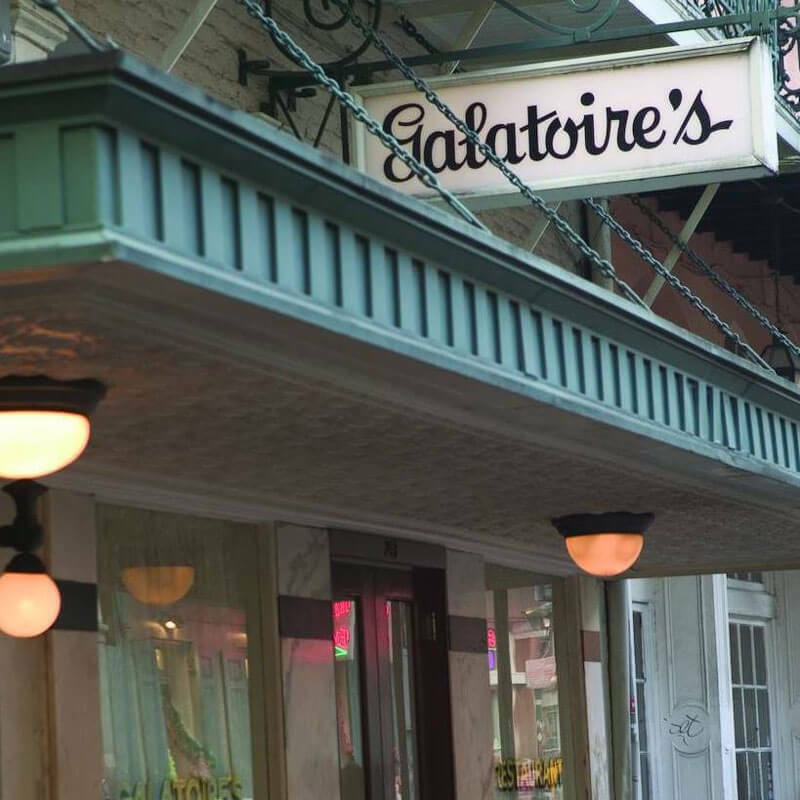 How local is Galatoire’s? The last time we went, our host brought ‘his’ waiter a present – a portrait of the waiter. It takes a lot to divert old school New Orleanians from their favored dining institutions, but GW Fins has managed to do so in a neighborhood packed with grand dame Creole restaurants. This spot specializes in seafood, and their version is simply some of the best in the city. The menu changes with availability, but be assured that what comes to your plate is consistently fresh and delicious. An enormously popular date night option for those New Orleanians who are in a mood to splurge. Acme is one of the more established oyster houses in the New Orleans pantheon, and it remains a favored destination for those locals in need of something delicious on the half shell. There’s something to be said for consistency, and this is what Acme provides: skilled shuckers who work fast to get you a glistening plate of Gulf-sourced goodness. While we tend to prefer our raw oysters straight, you shouldn’t leave town without trying an oyster shooter. A long, leisurely breakfast, accompanied by plenty of ‘eye openers’ (before noon cocktails) is a New Orleans tradition, and Brennan’s has been packing locals in for this ritual for years. While it’s been recently renovated, Brennan’s retains an old school, Creole castle charm, which makes for an attractive atmosphere as you scarf down eggs sardou and turtle soup. This spot is further commendable for its efforts to locally source from area farms and other food providers. There is no shortage of po boy shops in New Orleans, but there’s a surprising lack of really good examples of the genre within the Quarter. Then Verti Marte raises its hand, as if to say: hey, we’re open all the time, and we got good grub. And do they ever, particularly the sandwiches, which are several meals packed between two loaves of bread. While New Orleans is world famous for her food, not many people come here for the Mexican cuisine. But when locals are in need of a quick burrito or taco, many head to Felipe’s. It’s cheap (you can fill up for under $10 a person, especially if you skip a drink), it’s filling, and honestly? It’s really good – this may be a locals spot, but we also have friends from South Texas who attest to the reliability and tastiness of Felipe’s. 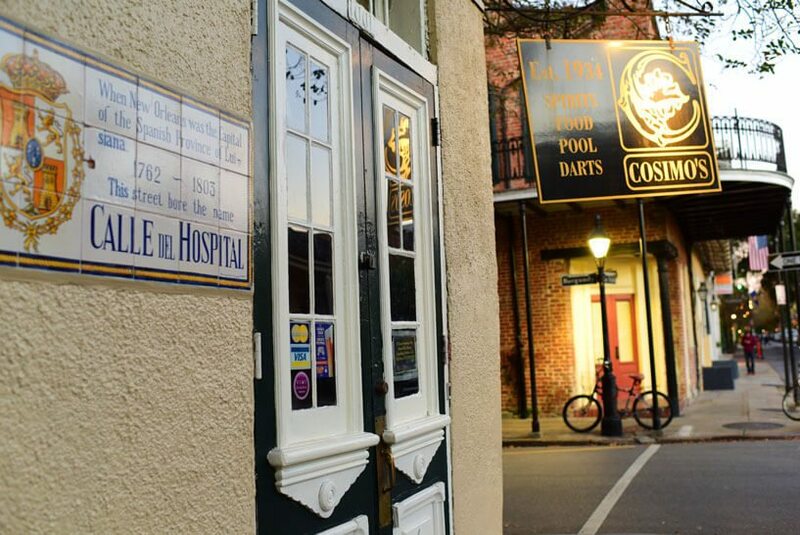 If you’re a member of the service industry in New Orleans and you’re out for a night in the Quarter – or if you’ve just kicked off of work – chances are you’ll end up in the Erin Rose. This is a small, cozy little dive tended by sassy staff, doling out strong drinks for the people who serve you strong drinks (and food). A true neighborhood bar located within the more residential side of the Quarter, near the Marigny and Treme, Cosimo’s is simply a very nice bar. There’s a great jukebox and potent drinks, plus a cast of locals to keep things interesting as the night goes on. To be fair, Port of Call is as much restaurant as bar, and locals do love to come here for the excellent burgers. But we’d be remiss to not mention some of the amazingly powerful mixed drinks available here, ranging from the Red Turtle to the Windjammer. All of the above concoctions go heavy on the fruit – and the spirits, so be careful.